It has been more than two weeks since we bid adeau to Spring 2015; those that fell behind on their viewing should hopefully be caught-up and those that like to binge watch after a season is over should have the shows they are most interested in complete or at least nearly so. Therefore, my question for you this week is: what was your favorite show that aired in Spring 2015? Conversely, was there a show you watched last season that you already regret? For the first part of Spring 2015 I had three shows that were all vying for the top spot on my list: Ore Monogatari! !, Kekkai Sensen and Arslan Senki, but at the midpoint Arslan started to lag behind a bit leaving just the other two in contention for the crown. It was a toss-up to the very end. Would Takeo steal my heart just as he had Yamato’s or would Libra’s crew pull off a last minute victory with a fanastic finale?...oh, wait...nevermind... >.< OreMon wins this one. If you have not yet watched OreMon be warned, it will destroy your expectations of what a rom-com can be and make all other shoujo’s quail in fear. There is only a little hyperbole in this statement. Whereas most shoujos focus on the will-they-won’t-they aspect of dating, OreMon gets to the point in a few episodes allowing us to enjoy two great characters experience dating for the first time. 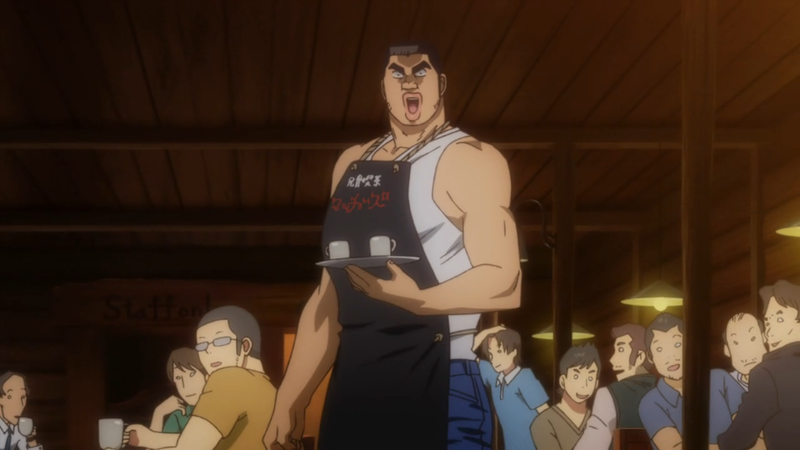 BTW, Takeo can rock dem Daisy Dukes. As for shows I regret, I really wish I could take back those five episodes of my life I gave to Seraph of the End: Vampire Reign. Ani-TAY Question of the Week: Was the Hype Real?